The overall masterplan, completed by Wilson Architects in 2017, organises the building into zones that prioritises student and community engagement. 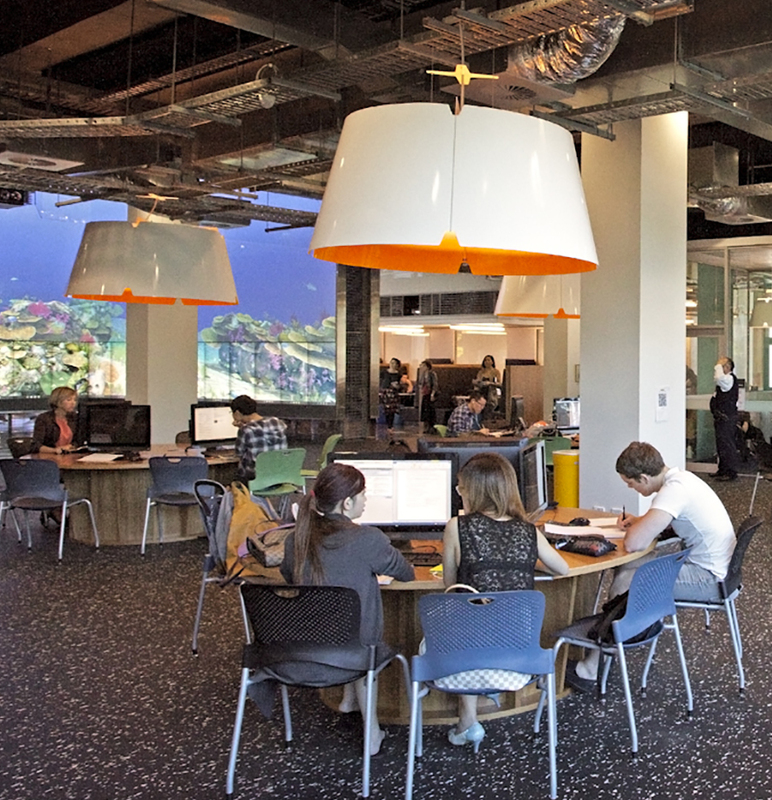 The idea that learning can extend beyond its walls has been a strategy that has been pursued across many contemporary libraries throughout Australia. To be able to see activity beyond the envelope of the building registers activity and encourages engagement. 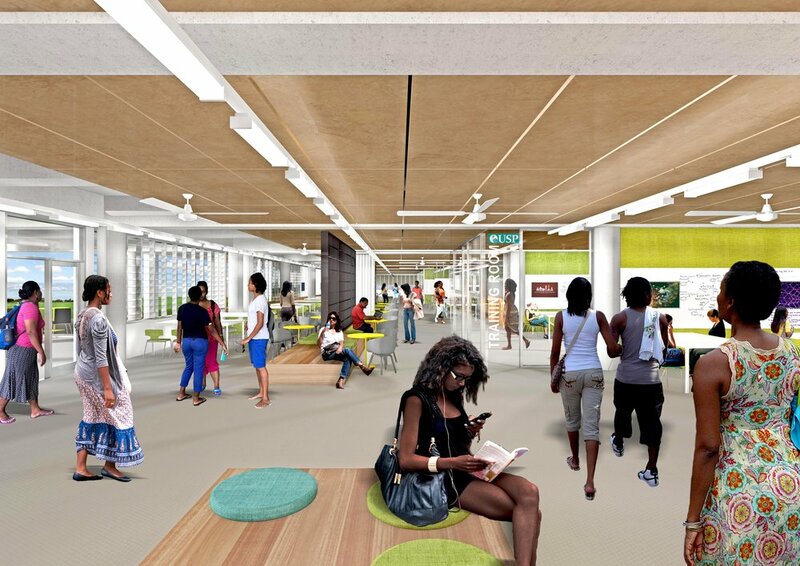 The library is already well subscribed with students occupying the building to extend study. An existing 24/7 room as well as talking space is popular. However the range and diversity of spaces is limited in part due to sustaining cross ventilation which limits quiet study rooms that exclude noise and/or impact adjoining study spaces. The purpose of the master plan exercise is to test the whole building against the proposed works to the existing lower level to ensure that potential future maneuvers are not compromised by this first phase.